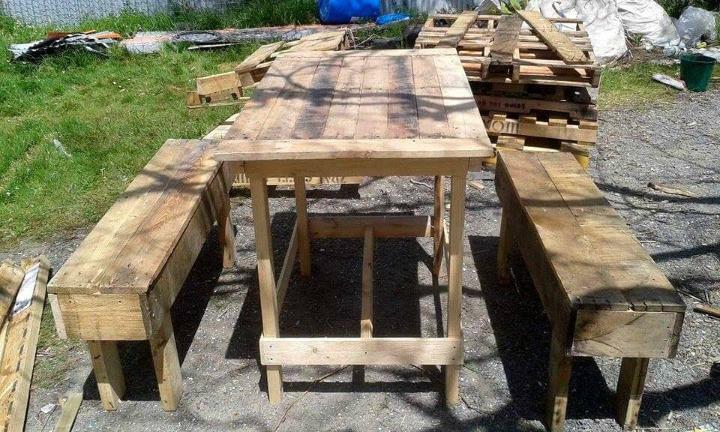 We all love it to bring latest pallet hacks for you! This time again we have a big surprise for all pallet lovers! Checkout this mini list of DIY pallet ideas that are all very new and inspiring! With the help of these ideas you will all be able to get fetching outdoor party or dining furniture for free and much more! Reinstall pallet into solid wooden boxes and just start using them as accent garden planters by filling with potting soil! 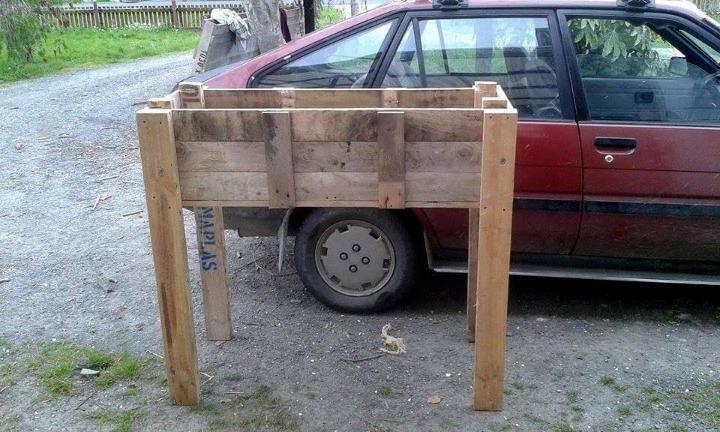 Add custom pallet-made legs to same pallet planters to earn beautiful raised garden planters also! 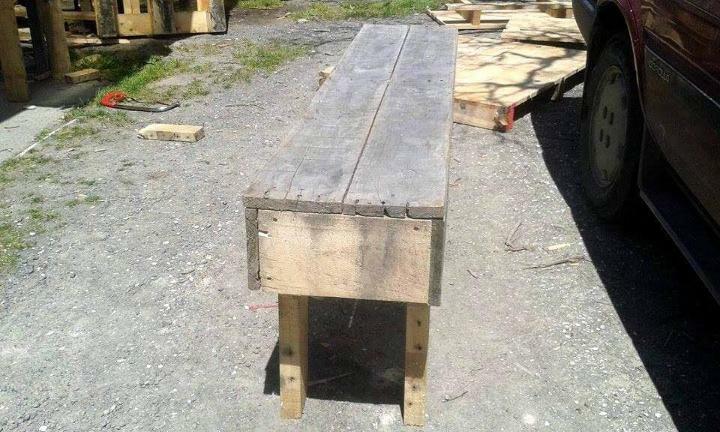 Build a slim long wooden holding by making use of 3 pallet slats and now raise on custom legs that will fix to its inside corners, and get a special wooden bench! 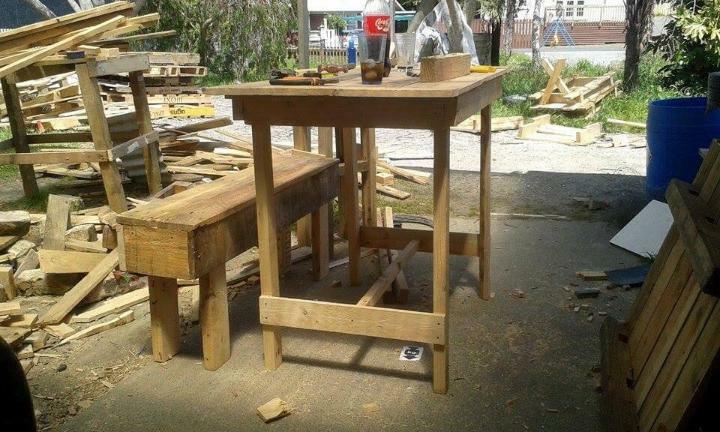 Build a set of such a benches and a matching table to gain a full outdoor sitting, dining or party pallet furniture set as shown! Built also the special dog kennels with pallets and reclaim the old metal sheets from home to give them waterproof roofs! All amazing examples are given below! 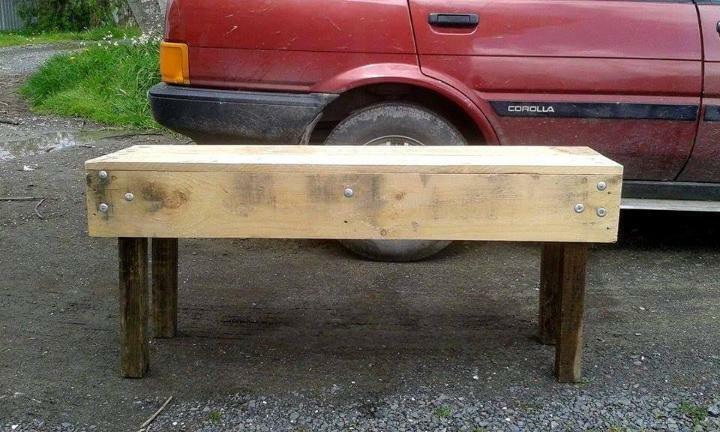 Rustic yet lasting wooden bench! Gained for an outdoor party furniture set! 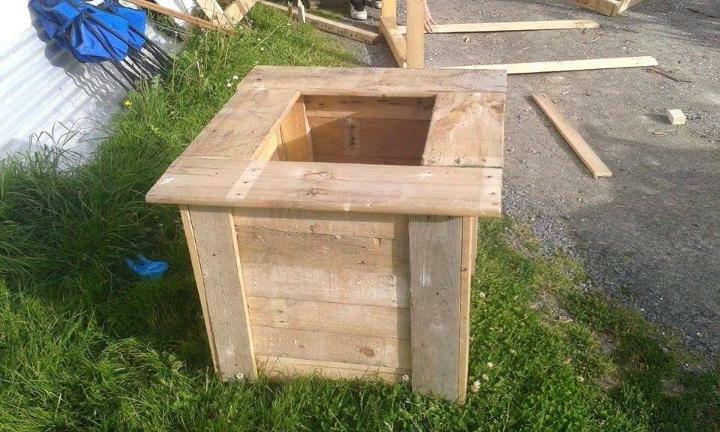 Build it with pallets without investing a bit of your money! Here is the beautiful bench, all you need the 4 pallet slats and 4 custom wooden legs to clone this very enchanting model of bench! Here the main goal is to achieve a whole sitting set, so go clever again with slats of pallets and build a raised top table also! Install the pallet slats for tabletop and base is pretty simple to install! Don’t forget to add the cross beams for lasting stability! Now surround the table with seats or benches and enjoy all from gossips to delicious dinners and parties! 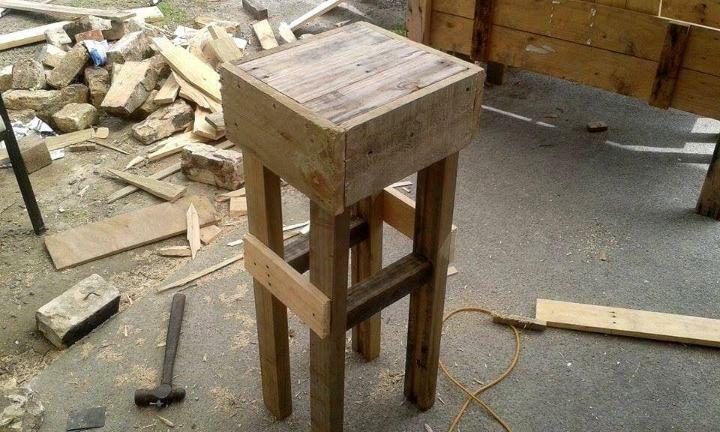 Don’t destine the pallet leftovers to landfills, install beautiful stools or end tables with them! Get inspired of given charming model! Craft beautiful wooden boxes by going clever with pallet slats and build robust wooden boxes, use these boxes simply as wooden garden planters! May the raised planters be a demand of your garden, built them also with pallets! Simply finish the pallet boxes with custom legs! 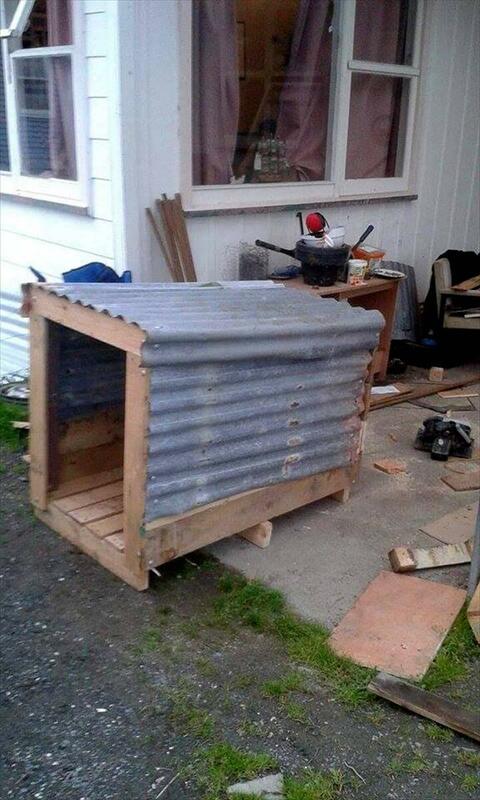 Here is a precious dog kennel or pet house made from pallet wood and old metal sheet! Metal sheet covers the top as waterproof roof!